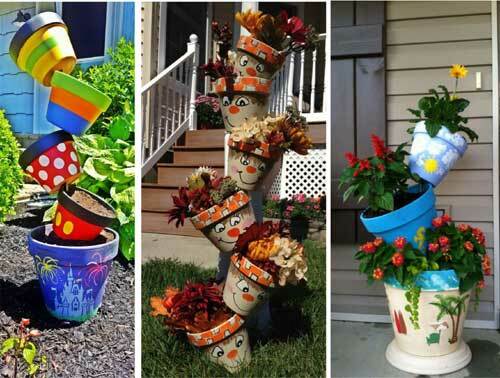 I love these topsy turvy planters. I honestly can’t stop looking at the different designs. Considering how stunning they are, they are extremely simple to put together. 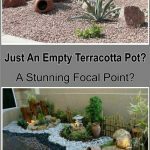 Basically, they more commonly consist of a larger base pot, two or more smaller pots and a piece of rebar or another solid pole, (a broom handle will probably do if you make the holes in your pots big enough) to hold the pots in place. 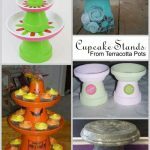 For small pots, you could probably get away with a simple wooden dowel or even a piece of cane. The larger the pots, or the more pots you stack will determine the length and strength of the bar you use to connect them. I won’t go into the details of building one here as it can vary slightly depending on your project. Instead, I have found twenty-two beautiful examples for you to copy. A lot of which have excellent tutorials. 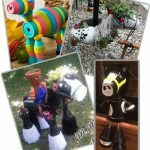 Before we get started I have a couple of tips to stop your planters from drying out too quickly. 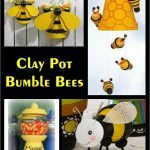 Firstly, clay pots are extremely porous, water will quickly seep through the pots and the heat will quickly dry them out. 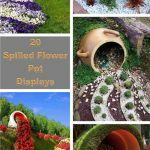 To help prevent this make sure you completely seal the inside of the pot. Even if you are going for the more natural look as in the first five images, you still need to completely seal the inside. Next, you can add perlite or vermiculite to your compost. This helps keep the compost moist for longer. 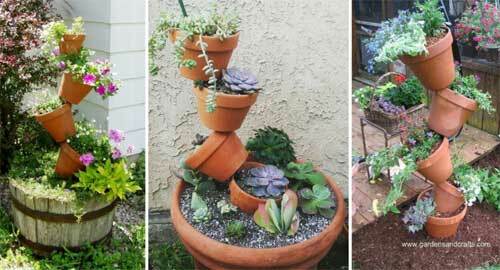 These first three examples of topsy turvy planters created using a rebar which is hammered into the ground by at least a foot or two to keep it solid. 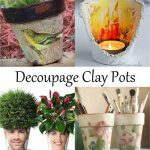 They have all chosen to keep the pots O’natural in coloring. Although the first one appears to have been given a shiny glaze. 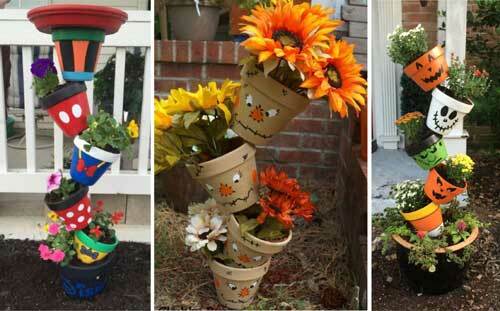 As you can see from these two examples, topsy turvy planters don’t always have to work from the ground up. 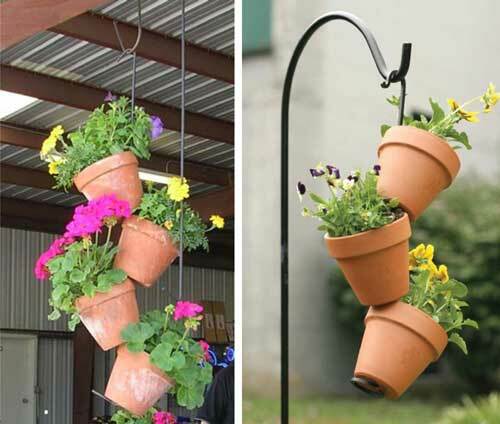 In fact, they work extremely well as hanging planters. 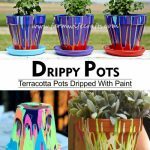 So, with both of these planter sets, they have used a metal bar of sorts, but because you are using gravity to help hold your pots in place you can use almost anything. Depending on the effect you wish to achieve and the weight you need to hold you could actually just use rope (bear in mind, however, the rope does rot. Chains, on the other hand, would also make for a very effective look. 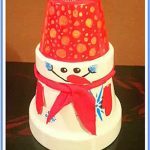 From here on in it’s all about design, colors patterns, and themes. 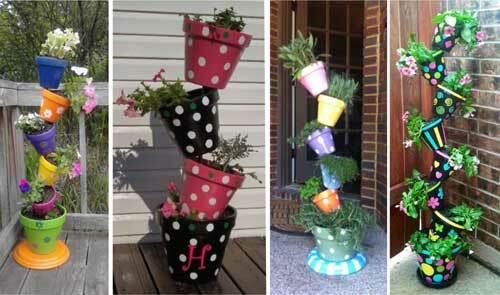 Well, these are three stunning topsy turvy planters, I wonder why no-one wants to own up to them. All three are painted in solid shiny colors. 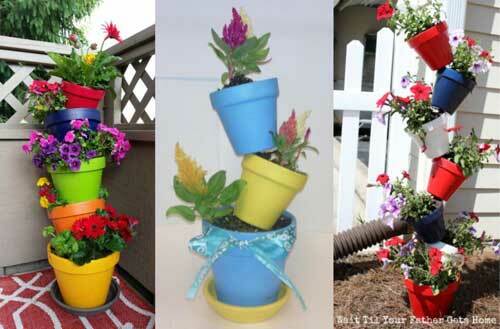 The first is a vibrant mix of colors, every pot is different. Guaranteed to brighten any area. The second one has gone for a pastel two-tone of alternating blue and yellow. Much more subtle. Well, what can I say about the third, a very patriotic style, you can’t beat flying the colors of the Red, White, and Blue. 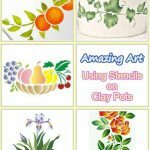 Although tutorials are scarce for the following, there are literally tons of ways of painting and decorating your pots. Just remember to prep your pots before you begin. 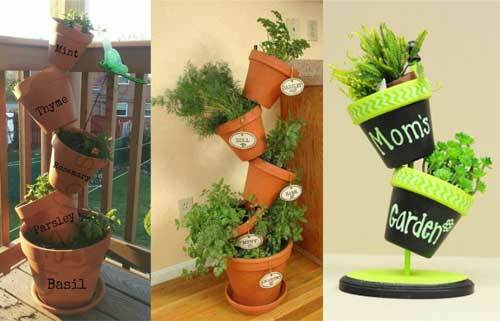 Topsy turvy planters are ideal for herbs, you can make small versions for indoors or much larger ones for the garden. 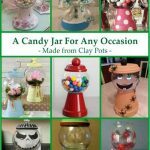 You can even make them as gifts. 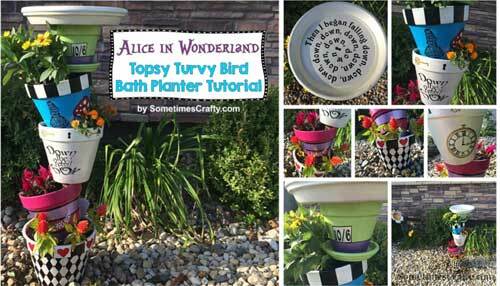 Last but definitely not least is the Alice In Wonderland Topsy Turvy Planter. It even comes with a birdbath on top (could also be used as a bird feeder). You can find an excellent and very detailed tutorial for this one over at Sometimes Crafty. 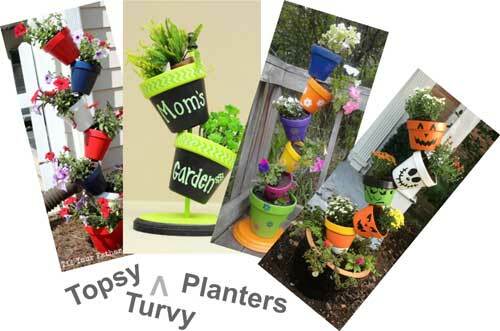 So there you have it 22 topsy turvy planters, easy to make and lots of fun deciding which design to follow. There is no end of fun you can have with this one.